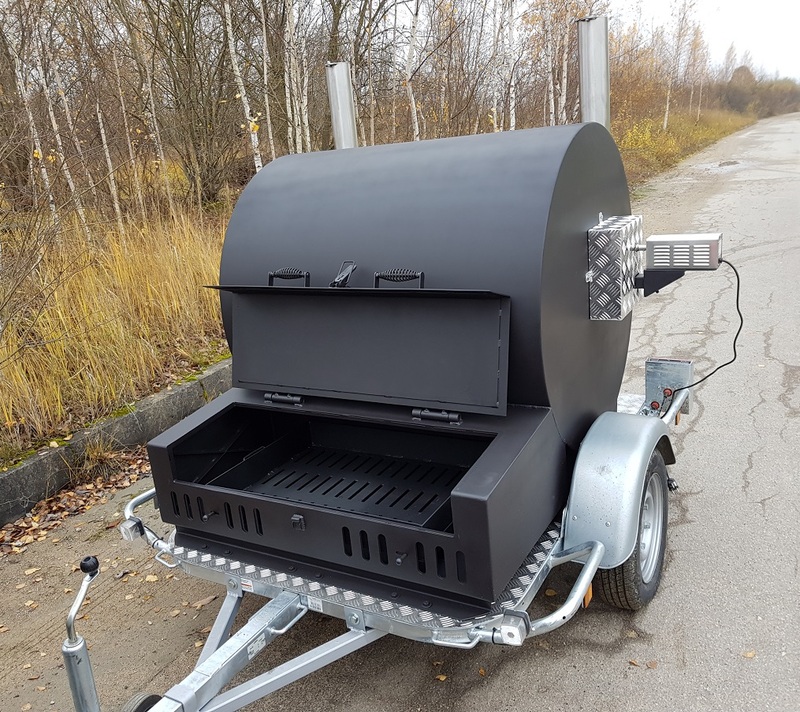 It’s a Rotisserie Barbecue Smoker with enormous smoking/cooking space. 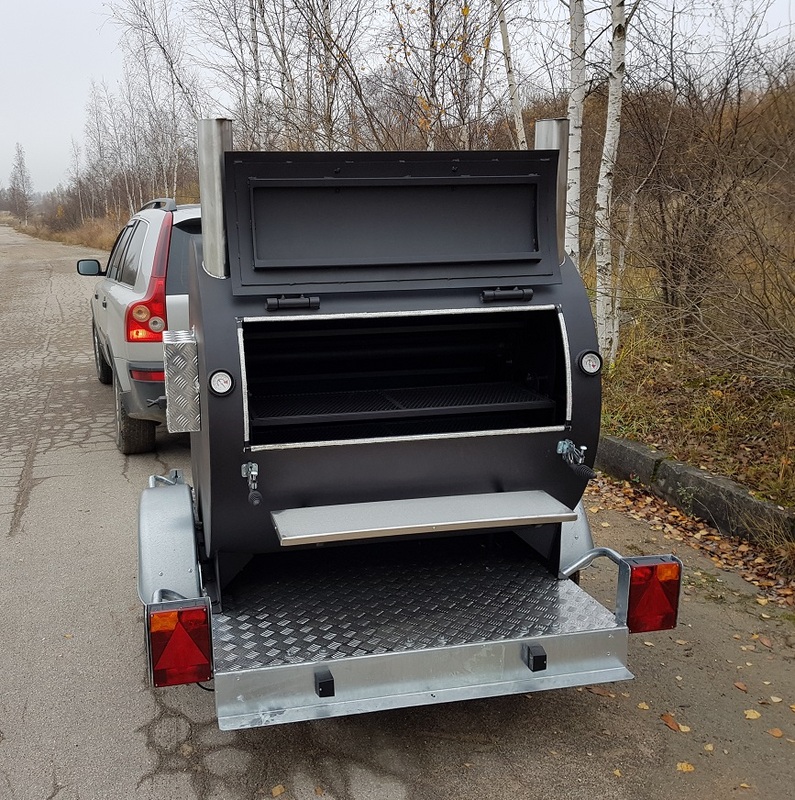 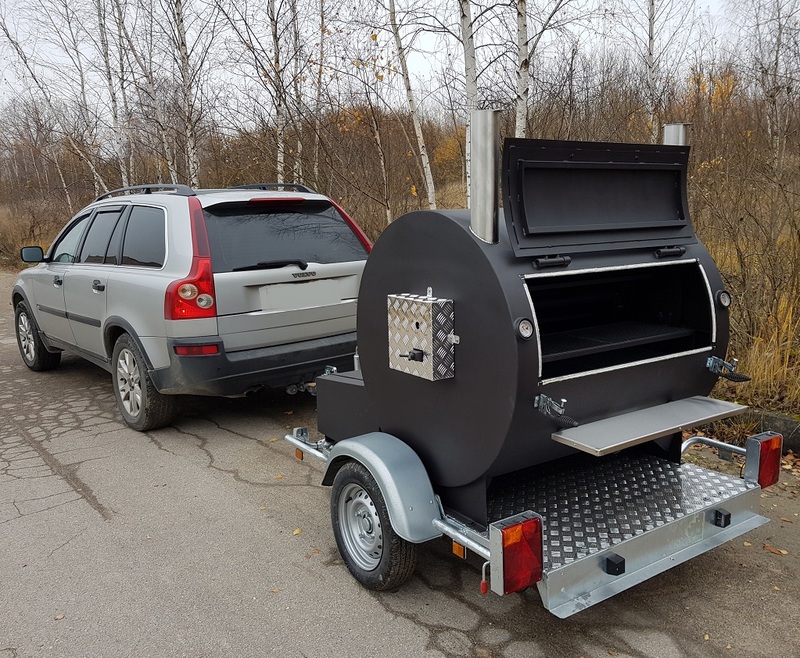 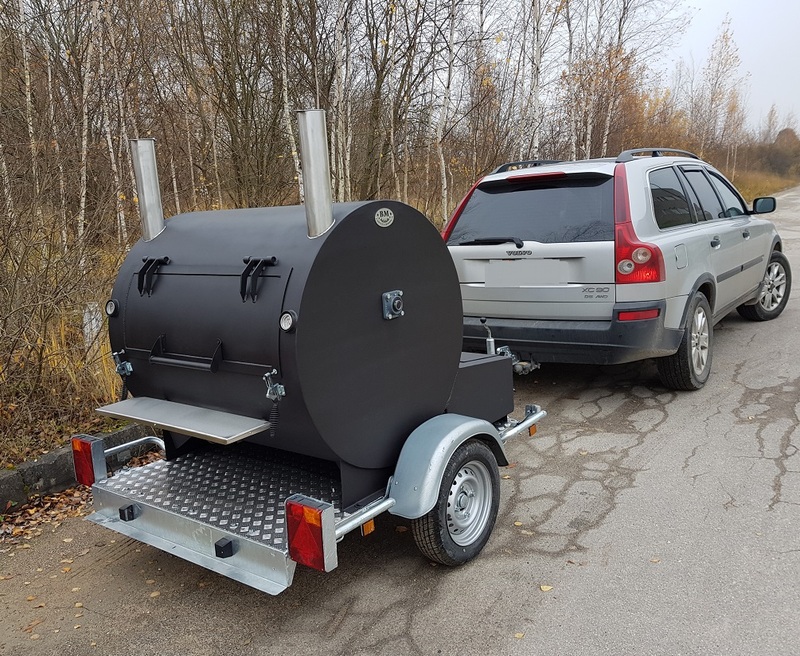 The BBQ Trailer is a fully-functional mobile cooking machine, complete with the large smoking/cooking chamber. 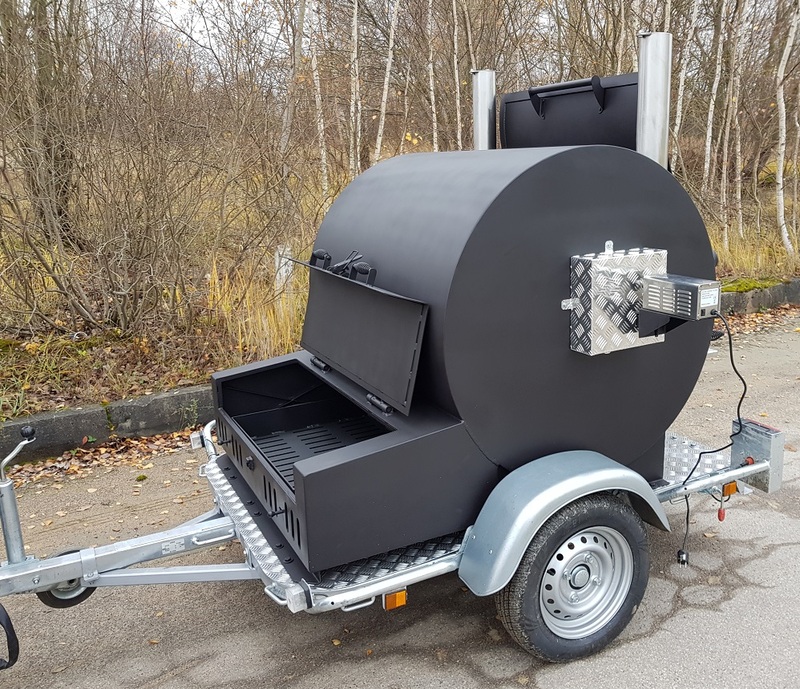 The BBQ Unit made in 4mm thick steel, finished in heat resistant paint and looks smart and sophisticated. 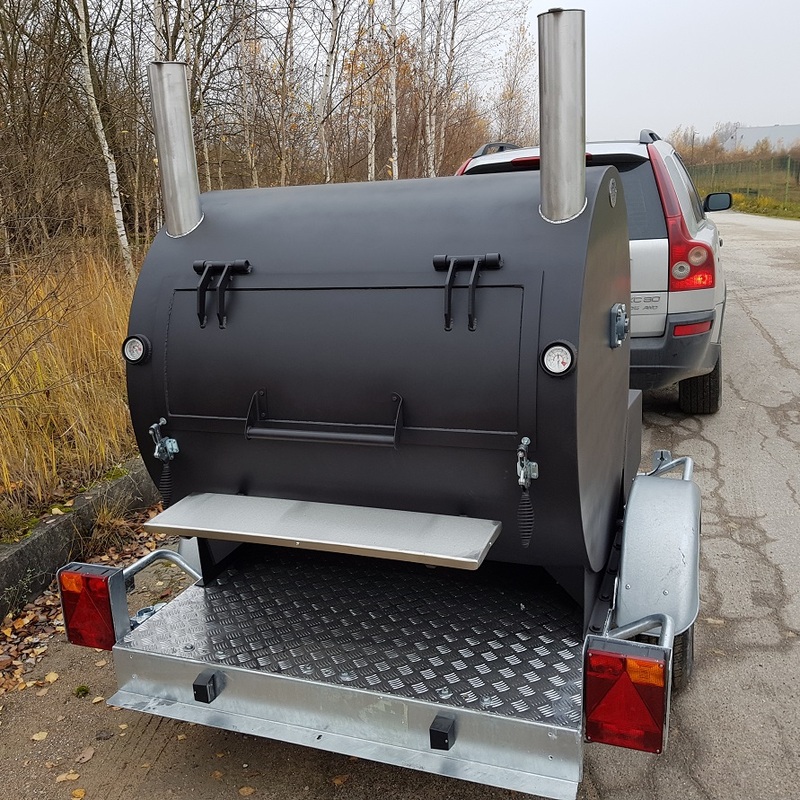 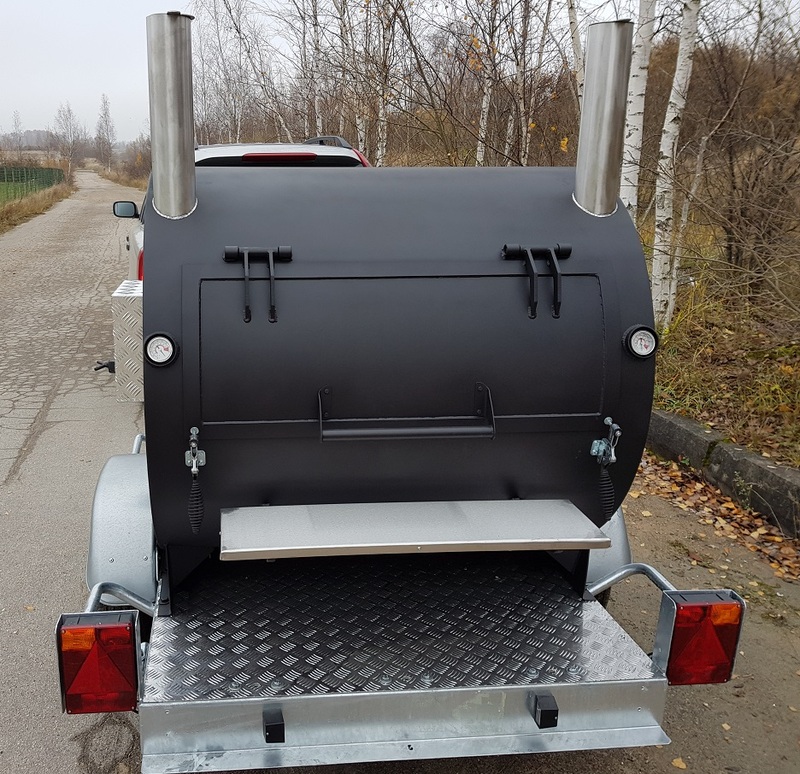 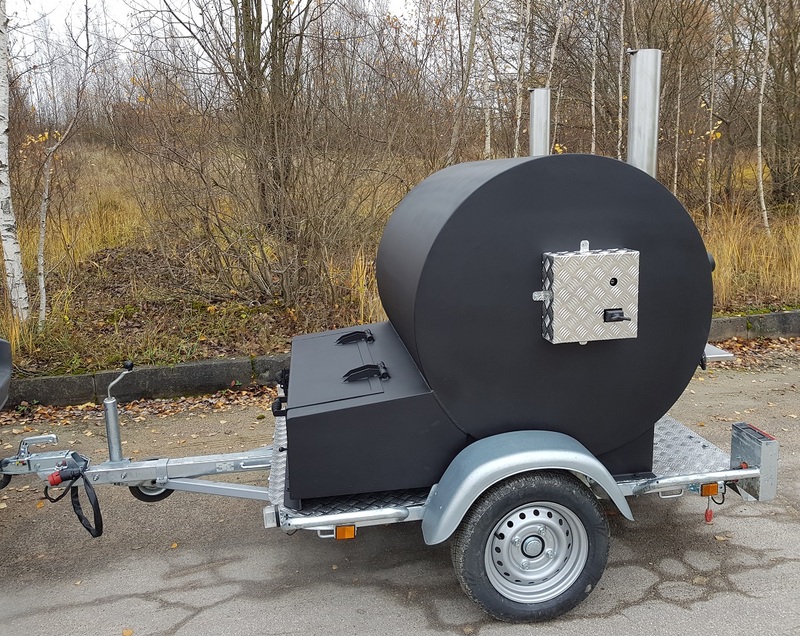 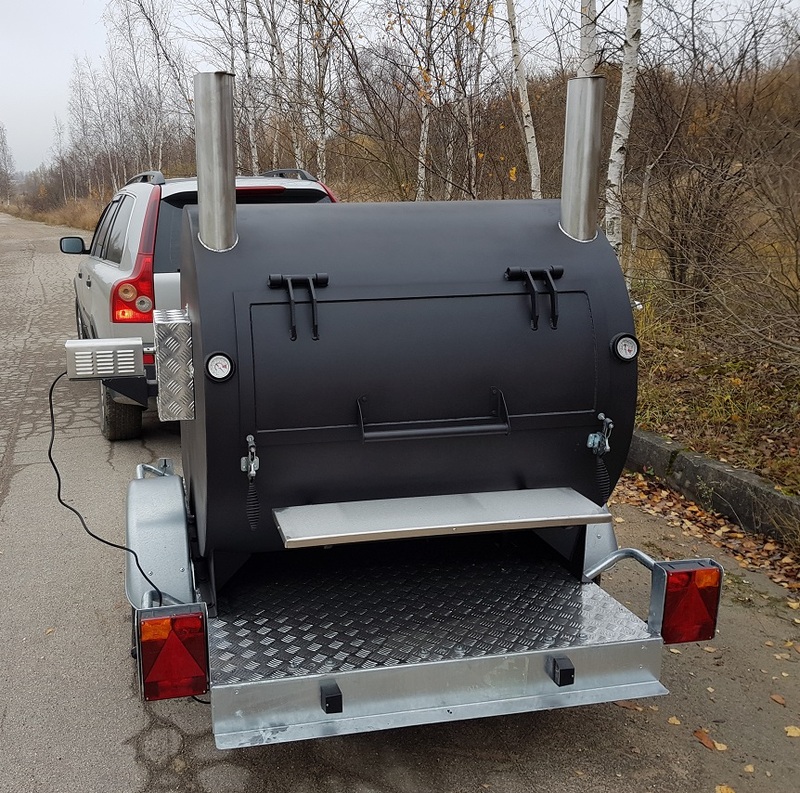 This is ideal for family business to use for private parties, corporate events, music festivals, country shows, BBQ Competitions and even BBQ rental stores. 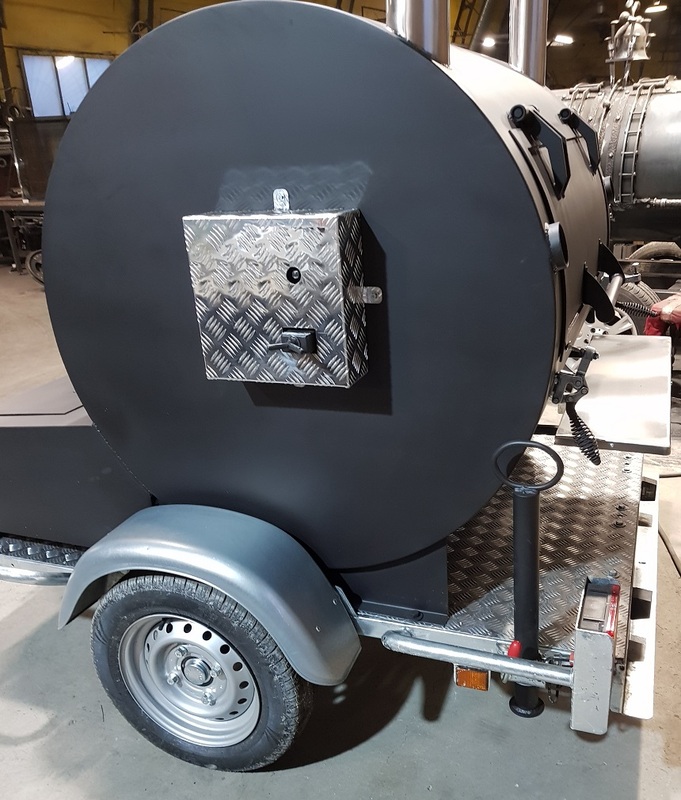 Cooking chamber equipped with 57mm dial stainless steel easy-read temperature gauges. 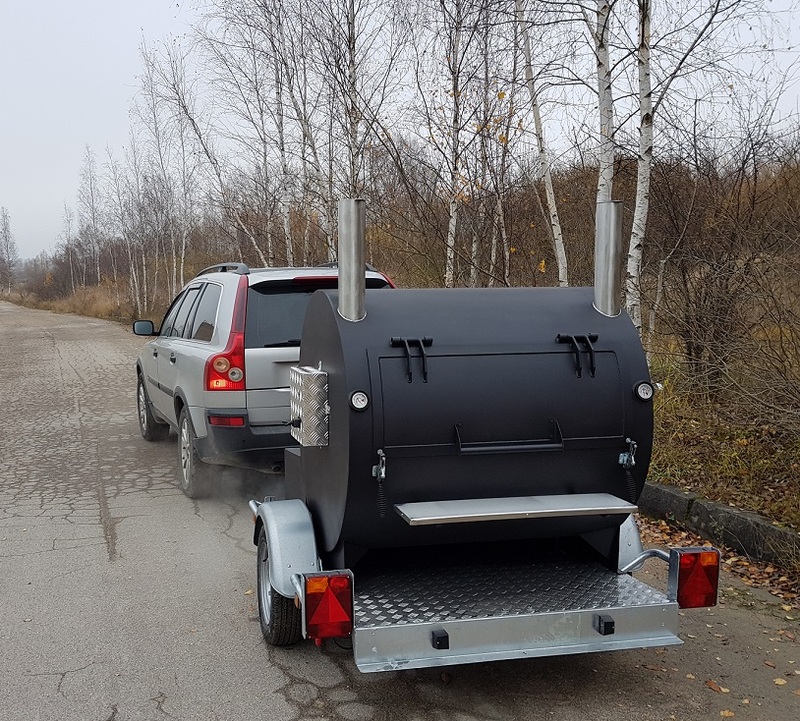 Can be towed by any size cars, vans and trucks.